This page is dedicated for new Armies who would like to be legitimized in the community. We will add you to our Leaderboard, Registered Armies page, and Join An Army page. 1.WHAT IS YOUR ARMY NAME? 2.WHAT ARE YOUR ARMY’S COLORS? 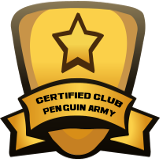 Once accepted, you can post the following code into a Text Widget on your website in order to display the Certified Club Penguin Army Badge! Please answer the questions correctly. Hey! Just wondering if i could upload my new army! 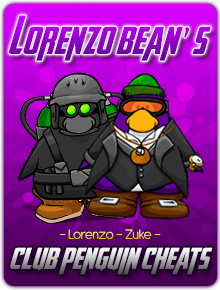 I need a little more penguins to join. Here is the info you asked for. my army is called JCA:John Cena Army. my army servers are zipline. Thank you for registering for CPA. Thank you for registering for CPA, but we need your proper website link in order to finish your army’s registration. 3.WHAT COLOR WOULD YOU LIKE TO BE ON THE MAP? Black. 2.WHAT ARE YOUR CURRENT SERVERS? 3.WHAT COLOR WOULD YOU LIKE TO BE ON THE MAP? Your army has been added! Thanks for applying. Please PROVIDE a correct Website & Chat link. All armies above this comment have been registered with CPA! Congratulations! 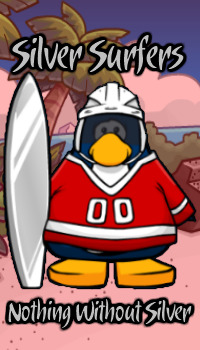 Hi, I just wanted to let you know that, the Super Miners of Club Penguin will be transferred to the Red Cavaliers. 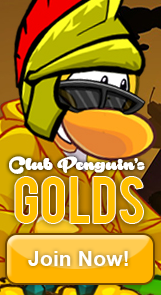 So please replace Super Miners of Club Penguin to the Red Cavaliers. 2.WHAT ARE YOUR ARMY’S COLORS? Black and brown. Your website doesn’t seem to have anything on it. Is that the correct link? We can add you once we know your site is operational. Then you will be able to invade. ALL ARMIES ADDED ABOVE THIS COMMENT! 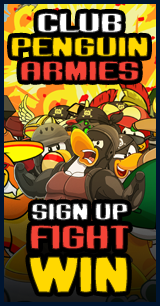 WELCOME TO CLUB PENGUIN ARMIES! Hey ! can you add my army ? Sorry but I don’t know how to put my xat chat into my website, when I put the embed code it don’t work. A link to the chat would suffice wouldn’t it? 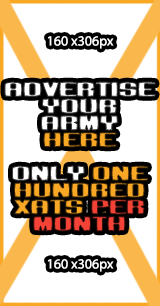 I made an image to advertise my army but I don’t know how to get xats. 2.WHAT ARE YOUR ARMY’S COLORS? Red. 4. LINK TO YOUR CHAT: They dont use xat. Please fill out a form. also Golds have given Jalapenos Patagonia. All Armies Above This Comment Are Registered. Link to Chat: Umm… My chat is on Instagram. I’m going to make a D.M box…. Oh and I just made a chat!!!! Since I was fired from the Nachos, I’ve decided to do my own thing now. Blue Sky Warriors Application Has Been Denied. There is not sufficient evidence suggesting otherwise that the BSW isn’t just the Nacho army attempting to circumvent the Invasion Spam Protection Rule. 1. BSW primarily made up of Nacho troops. 3. Agenda is exactly the same as the Nacho agenda. 4. Intended to invade servers in a current war. 5. Nacho Army themselves highly defended the BSW despite not being involved, our interactions about this issue were primarily through Nachos who claimed not to be involved. Due to how similar Blue Sky Warriors are to the Nachos, it’s highly suggested that the BSW entity is merged into the Nachos. Dark Knight Empire was flagged for suspicious activity, similar to other armies who have joined as faces for other armies to circumnavigate the Spam Protection rule. DKE added a lot of invasions against RPF upon opening, and for some reason, non of our updaters added it to the schedule, nor were there any results posted for them on the DKE website. CPA would like to add DKE, but we want to figure out what happened here. Why did our staff respond how they did, and why did DKE not bring this problem up to us? DISREGARD previous comment. DKE has been accepted. It was a communications error among staff. OMG THX! MY ARMY IS ON THE LIST OMG OMG THX! 1. WHAT IS YOUR ARMY NAME? Army Union. 2. WHAT ARE YOUR ARMY’S COLORS? Red and blue. Your army has now officially become registered within CPA; if you’d like to, place a badge onto your website to show to other individuals that you are a part of CPA. Be sure to schedule your invasions on the Current Invasions page. Your army is now officially registered with CPA. Remember to comment all your invasions on the Current Invasions page. Don’t forget to comment your Server Trades/Treaties on the Trades/Treaties Submissions page. The CPA team wishes your army the best of luck! Thank you for registering with CPA. The second army was one of the best AUSIA forces in the community for a period of time. It was a vital force to the JLA during the JLA vs NDA World War of 2013. It might still need to be reactivated at any point in time to help close allies. Ayyyy good times. The third army refers to the first sheep army. Although pretty much inactive, I would like it registered for the same reason as The Order of the Fluffy Sheep, and also to “trademark” it. All of the above armies have been registered with CPA. 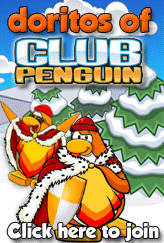 Army name: Scientists of Club Penguin. Army colours: White and green. Here at CPA, we would like to apologize for this taking longer then expected. All armies above have been registered with CPA! 4. We use kik and skype group chats ok! 1. WHAT IS YOUR ARMY NAME? 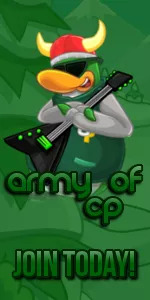 The Great British Army (of Club Penguin). 2. WHAT ARE YOUR ARMY’S COLORS? Red, white and blue. All of the above armies have been registered within CPA.